A different way to share, boosts your listings in the feed and has certain algorithmic benefits. 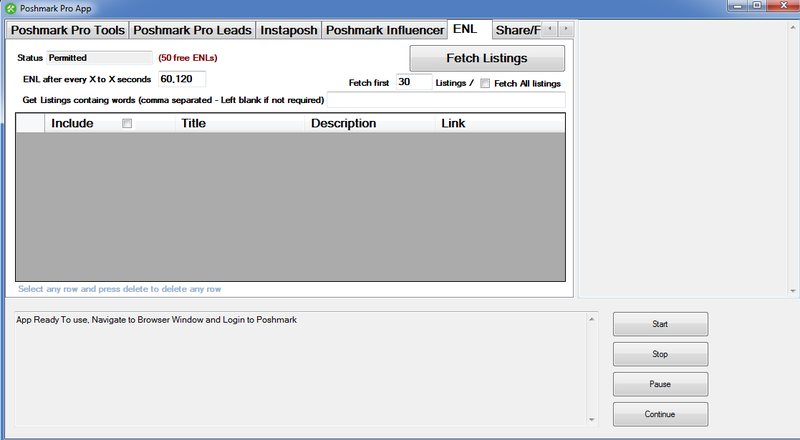 Adds even more power to your Poshmark Bot setup! It is by far the best process for increasing the potential of the share feature on Poshmark. Mobile users especially find the feature handy because it is faster than relisting every time through mobile. 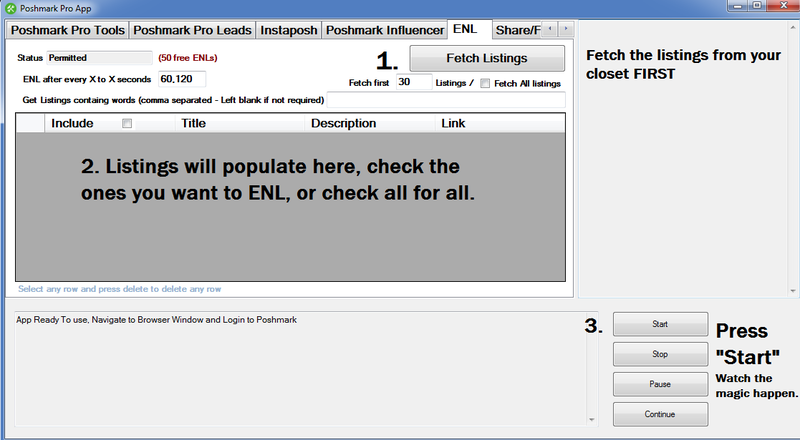 The ENL process does not put your listing in the Just In feed; however, it does increase the potential of target audiences interacting with the listed items more every time you use the feature. One major issue of doing Manual Edit Next List, has been the tediousness of going through the 3-step process every time. It is specifically a hassle for Poshers using the 30-minute method strategy and follow a strategy where they use the ENL protocol multiple times through the day. However, with the automated option for ENL now available, you can break away from this pack of hassled users and join instead the supercharged users with much more streamlines strategy for their listing promotions. The automated ENL option is not new, in fact, it has been launched as a service by many independent portals. 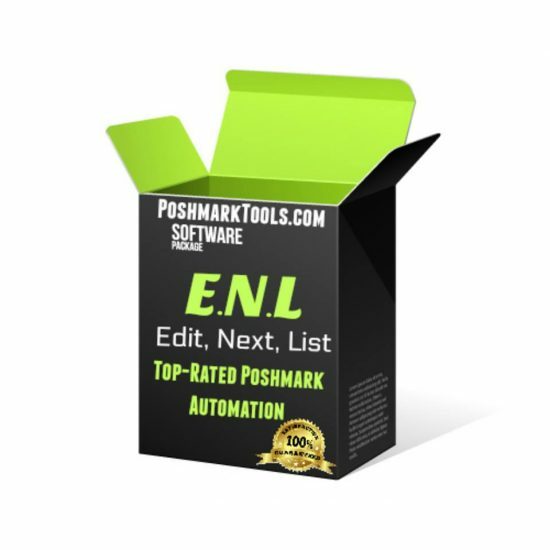 However, Poshmark Pro Tools ENL Bot is a one of a kind ENL product model. The most glaring difference between an automated ENL service and the Poshmark automation software product is you pay only once for the product but you have to subscribe to the service. This means that for an automated ENL service you keep paying the subscription amount at set intervals. For example if the automated ENL service is set at a subscription of $9.99 per month, you are paying $120 for the service per year, $240 for 2 years and so on. For as long as you intend to use the automated ENL feature for your Poshmark app sales, you will need to keep up with the subscription retainer payments. Yes, there is an advantage with this service for users who are just starting out on the platform, who want to simply use a trial and error method to find the strategy best for their sales. You can try out the subscription for a temporary period until you are sure that the automated ENL feature or the platform itself is your thing. 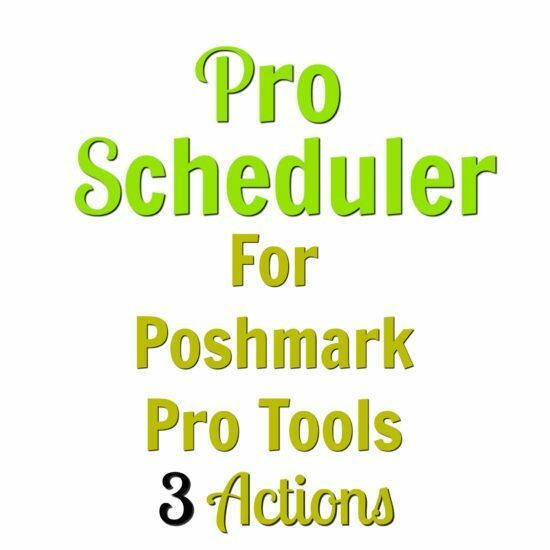 However, if you intend to stick to the use of the ENL feature, we strongly recommend investing in Poshmark Pro Tools SUITE also. It is a one-time investment of $79.99 for the product. So whether you intend to use the automated ENL feature for a day or years, you pay only $79.99. If you compare the investment with a $9.99 subsection for an ENL service, you would have recovered the cost of the Poshmark ENL Bot within 8 months of using it. So, at the 5-year mark if you are using a service subscription, where you are paying $600 for the Poshmark bot, the same period of use is still set at $79.99 that you paid just once that very first time. Creating a time -effective Poshmark strategy – When you are spending hours organizing your closet for listing on Poshmark, make sure your listing strategy helps market the closet in the most time effective solution. With the Poshmark bot tools suite you can now squeeze the maximum benefits from all the hours you technically spend on the Poshmark app every week.